I am very good at taking a sweater for the girls, taking some water and a snack for the girls, making sure the girls go to bed in time.. and then I forget myself. I am hopeless at drinking enough water for instance – and in a tropical country, that is not a good thing. So Ax decided to motivate me. 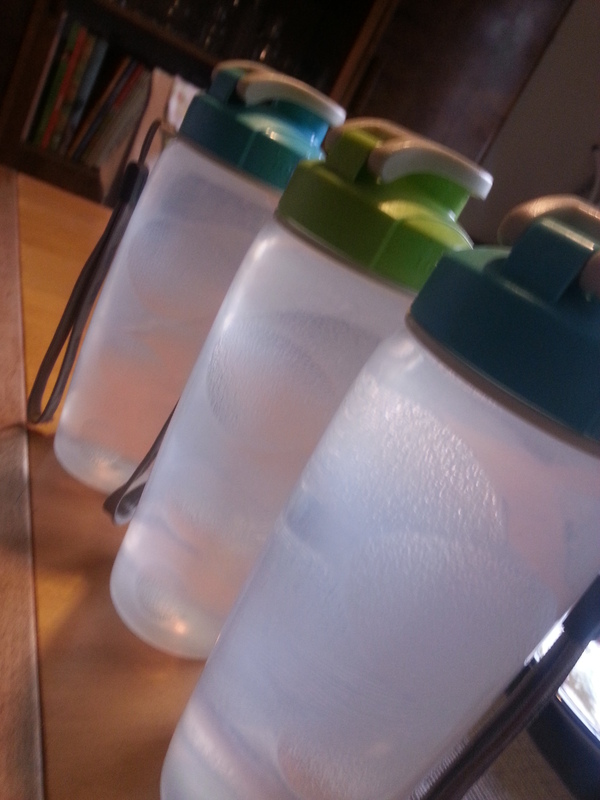 She decided we are now all taking a bottle of water to work/school and in the evening, we are comparing who drank what. Cellie immediately said “but you can’t lie!” and her wise elder sister replied: “well, if you lie to us you also lie to yourself”. Right..